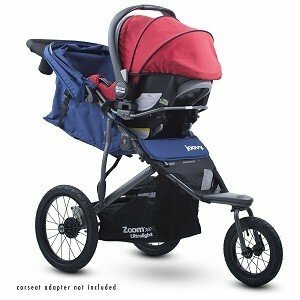 Joovy Zoom 360 Ultralight jogging stroller Review is a well-researched and unbiased stroller review offering by me. So you may completely rely on it if you want to find an outstanding jogging stroller. Have you ever experienced a jogging stroller? Then you will definitely understand the difference between the Joovy Zoom 360 Ultralight jogging stroller and other available jogging strollers. It is the most updated addition in the Joovy jogging stroller line. I think it is one of the best jogging strollers in a very simple design. It has several attractive features for jogging purposes with beautiful colors and appearances. You can have this outstanding jogging stroller at a very affordable price. My Joovy Zoom 360 Ultralight jogging stroller Review has discussed its other attractive characteristics and benefits in the next parts of it. Let’s take a look at them and make your decision about it. If you have any experience with other jogging strollers, you will undoubtedly find out the distinction between Joovy products from the other products. Joovy Zoom 360 Ultralight is the latest version among its all products. As it is a product mainly of aluminum, it is around 10-15% lighter than the average weight of the Jogging strollers available in the markets. At the same time, it is comparatively durable too. It has an over-sized canopy which provides more protection towards the baby than the others. It also has such parent-friendly features which must be preferred by you. Its swivel front wheel provides an outstanding maneuverability. You will find it affordable too. So for the budget buyers, it may be the best choice. As I told you all before that the Joovy Zoom 360 Ultralight's 12.5” swivel front wheel provides an enormous maneuverability. This front wheel can be locked straight which helps you to control it while strolling or jogging. You may use car seat adapters to try different types of car seats in it. But sometimes it seems quite tough to fix and run it straight. You may feel the lack of adjustable tracking hurt the overall run-ability of this product. For serious runners, it may not be the best. But for its swivel wheel options, it may be considered as a perfect one for its run ability. Which is the most attractive feature of this product? In my Joovy Zoom 360 Ultralight jogging stroller Review, I have tried to find out the best feature of this jogging stroller. I think it's 12.5 inches swivel front wheels its most attractive and efficient feature of this stroller. This front wheel can be locked straight, and you can easily control it while jogging. Your kids will not be your barrier in your daily routine life. At the same time, it is attractive, durable and light in weight. So for a comfortable and stylish lifestyle with your kids Joovy Zoom 360 Ultralight jogging stroller is a must. For whom it is the best? 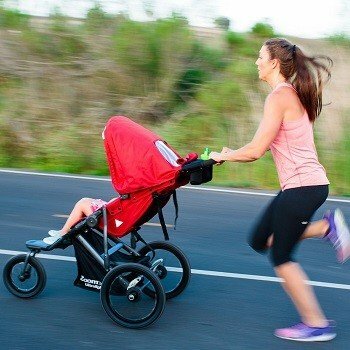 As I told you before that Joovy Zoom 360 Ultralight jogging stroller is not best for serious runners. But as a jogging stroller, it is perfect for a busy family who maintains a routine life. And who wants to company with their adorable kids during their daily jogging it is perfect for them. But you can also use it in markets, smooth city or town’s roads even over some rough areas. Though it is quite bumpy, you may use it as a travel system. 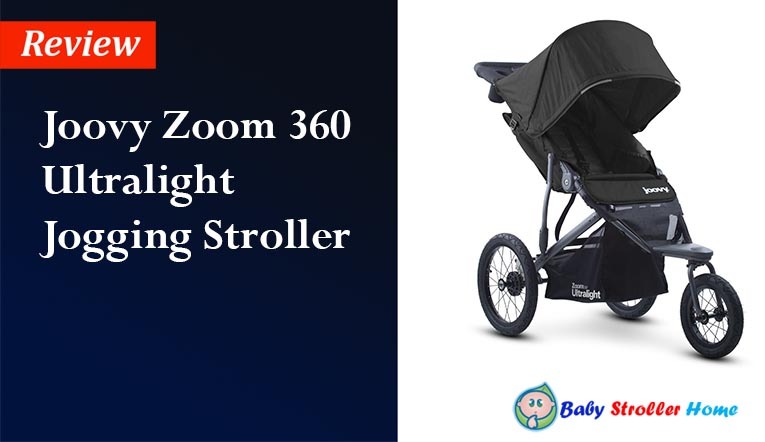 So my Joovy Zoom 360 Ultralight jogging stroller review suggests those parents who want to maintain a stylish routine life on an affordable budget and want best baby strollers. Joovy Zoom 360 Ultralight jogging stroller is the most amazing and latest product of Joovy. Though it has some limitations in some designs and scores quite low in different reviews I recommend you this product for its simplicity, lightweight and durability. You will have a quality product at a comparatively low price. That is another reason for my recommendation. It has several qualities which may attract you. Among them its safety features, adjustability, storage, folding and the large canopy is notable. All of these characteristics have made it a quality product for a simple and smart lifestyle. You also may have this to enrich your lifestyle.